One of the best voices in the South Bay area. featuring Doris Lizet on vocals. Bright Trumpet for your event! Mariachi Trio at the Art Center College of Design, Pasadena CA. Our party was great! Thank you guys for making it great for my mom and our guests. Would totally use you guys again! Great duo! The female singer had a great personality. They were amazing! They were on time, very professional, and gave an amazing performance. We asked them to come back in the evening because it was so great and they did. Thank you so much for making my girlfriends birthday so special! We truly enjoyed it!! It was a pity they couldn't stay longer. Thanks a million for a wonderful party!! We had a very unusual, last-minute, high-profile request for Rodrigo and his band and they totally rose to the occasion. We asked them to learn three new songs in less than a week. Because of the nature of the gig (a surprise), we needed them to play in a cramped space, and last minute had to change the time on them. They were graceful, accommodating, and incredible musicians! They hit the tone of the surprise perfectly, and made a huge impact on their audience. We so appreciate you Rodrigo! Thank you so much. We very happy with the performance was awesome. We had the Mariachi Duo play a wake for my mother. Rodrigo and Jesse were great. Played a wide range of Mariachi and pan-Zlabinger classics. They were also tasteful. They struck a nice balance in their song choices that spoke to our loss without being somber. It was celebratory and there was dancing! 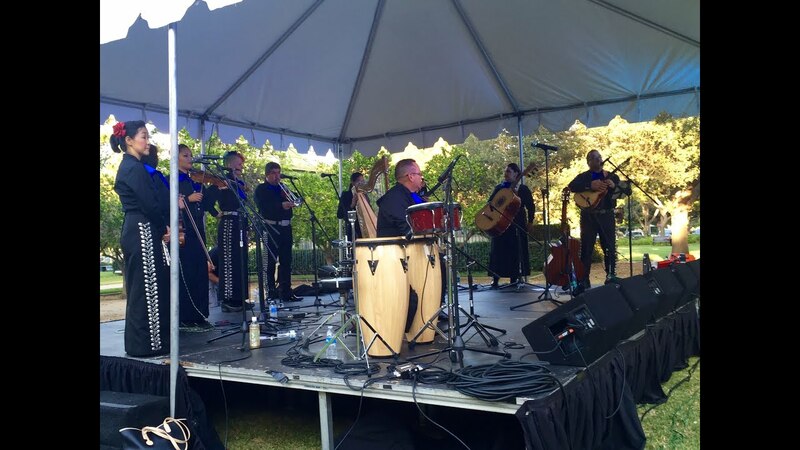 Mariachi Romanza was perfect for our daughter's backyard wedding! They were festive, easy to work with and on time. We had many guests comment on how good they were. Top notch guys. Would book again and again. The group appeared that To be mom pop n son without much experience. We were told they would sing bilingual but only sang in Spanish. Group not very entertaining. They never seemed to get anyone's attention. We were looking for a single guitarist from a Mariachi band to perform at a Memorial reception. Rodrigo was excellent! His communication was prompt and his performance just perfect! Evreryone truly enjoyed the music. We look forward to hiring him again! Great selection of music. They were a softer version of a mariachi band which was perfect for our crowd. Due to traffic they were a little delayed but made up for it with longer playing time. 5 stars, very pleased with mariachi. I highly recommend and would definitely consider mariachi romanza. Thank you so much for making this a very special day for my mother on Mother’s day! She really enjoyed the music! Will definitely contact you guys if there is another opportunity for future events. Very professional, on time, very polite. 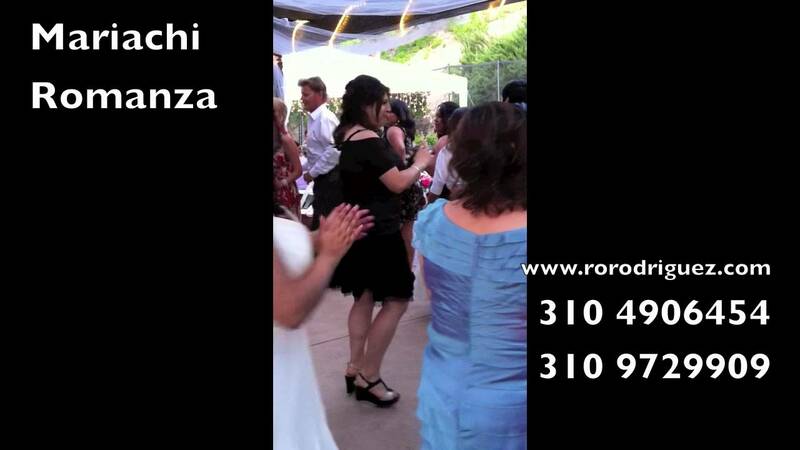 Whether it's a small event, or a large one, Mariachi Romanza is a great choice. We had a large public event and they entertained a group of 200. They showed up early and stayed late. Very accommodating, polite and eager to please. Awesome!!!! 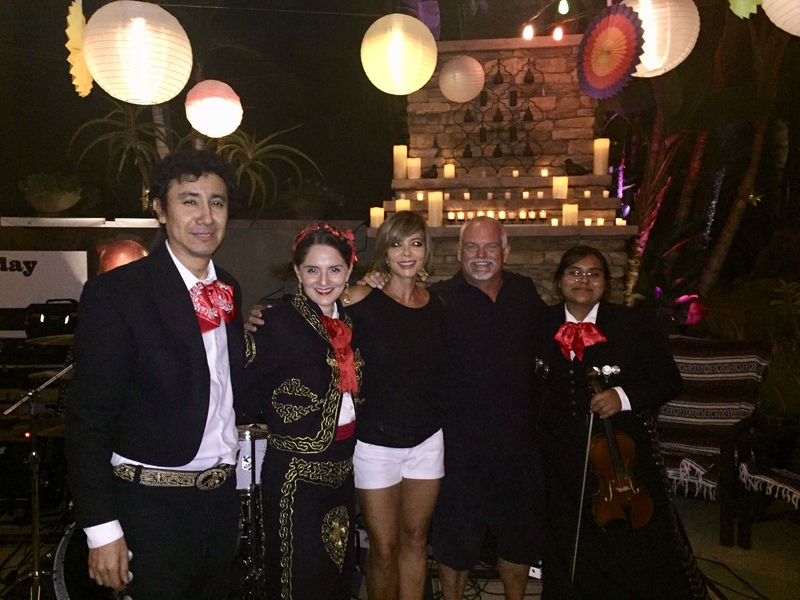 Mariachi Romanza was a hit at our corporate party last Friday. They were very punctual and arrived right on time. They were friendly, were involved with our audience, and played lots of amazing songs! I have only heard great reviews from everyone in the office. They couldn't believe we actually had Mariachis booked and were pleased with the outcome. Thanks again!!! Gracias por tenernos Guadalupe. Nosotros ofrecemos diferentes tamaños en el ensamble para poder ajustar al presupuesto del cliente. Vamos a poner más énfasis en el detalle para que sea muy claro. Gracias por tu opinion, y si tenemos fortuna de tocar para tí en alguna otra ocasión, llàmame directo al 310 4906454 y yo personalmente me encargaré de asignar para tí voces más bravias que te agraden más. Tenemos muchos cantantes con esas cualidades. Gracias. We had a very nice experience with Mariachi Romanza. They were on time, played wonderful music and were very professional. We hired them as a surprise for an anniversary party for my parents and were willing to call before coming in, wait outside while we got our parents set up for the surprise and then came in playing. My mom was so happy with the surprise she cried. Thank you so much for a great experience! They were great. The lady had such an amazing voice! My mom enjoyed the surprise for her 65th birthday! I would book them again for another event. Overall great experience. They showed up on time, dressed appropriately, and sounded amazing. They took requests and had a wonderful attitude. Perfect surprise for my grandfathers birthday! Thank you, Emily, for having us, it was a great experience enjoying part of Christmas day with your family. If you could kindly let us know what we would be missed that we got only 2 stars out of 5, so we might be able to improve our services. Thanks. We had booked Mariachi Romanza for my mother-in-law's 90th birthday party. The trio was punctual and all the guests enjoyed the Mariachi music. Thank you for a memorable experience!! Highly recommended!! 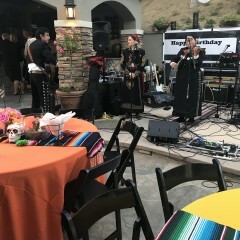 Wonderful mariachi trio, played excellent music for my husbands party. Our Employees LOVED the band! Mariachi Romanza provided on-time and on-point services to take our employee luncheon to a new level! They are all incredibly talented musicians with incredible voices too. We will definitely be bringing them back for our employee events and our client events. Very punctual and super show. All our guest were extremely pleased. The ONLY Mariachi band you should consider! Rodrigo and his crew are amazing! Professional, prompt, entertaining and an absolute joy to work with. When we started our search for a band for our week long convention, I contacted several different bands in the Anaheim area. Rodrigo was quick to respond and made the process so easy. Not only did they work with our scattered schedule (7 performances over 4 days at various times), but he was also flexible to make it work with our budget while providing the highest quality of performance I could have asked for. Rodrigo, Rafael, Arturo, and Joshua were amazing! They not only played, but interacted with the crowd, danced around on while playing, took requests, and even took time to take pictures and answer questions. I looked forward to seeing them each day and enjoyed every second of every performance. The next time I have an event in the area, I won't even look for another band because they are the BEST around. Thank you, Mariachi Romanza, for an amazing week! Thank you so much for making our event so memorable. The female sang great. You can tell they have done this many times before and were very professional. They came in mariachi attire even though it was 90 degrees and I didn't have to ask. They only took 1 break in 2 hours. I only had a small space for them to perform and they made it work. Thank you Rodrigo. It was pretty good. They have different singers. Very talented musicians. Pleasure to have. Would hire again! I am so glad Rodrigo and Mariachi Romanza came and paid such an honorable tribute to my daughter. It would not have been the same without them. Muchas gracias a todos! I booked the duo which I loved without a doubt. I didn't get her name but she had a beautiful voice . We are very satisfied ! We will definitely book again and maybe try a bigger mariachi. Mariachi Romanza did a wonderful job. Our guests really enjoyed their music. I appreciate their flexibility and quality. The only thing is I think they should have played at least 5 minutes longer than they did (booked from 1-3 but they finished at 2:55 PM, even though we had them start at 1:17 pm and they had a long break due to speeches at our event). 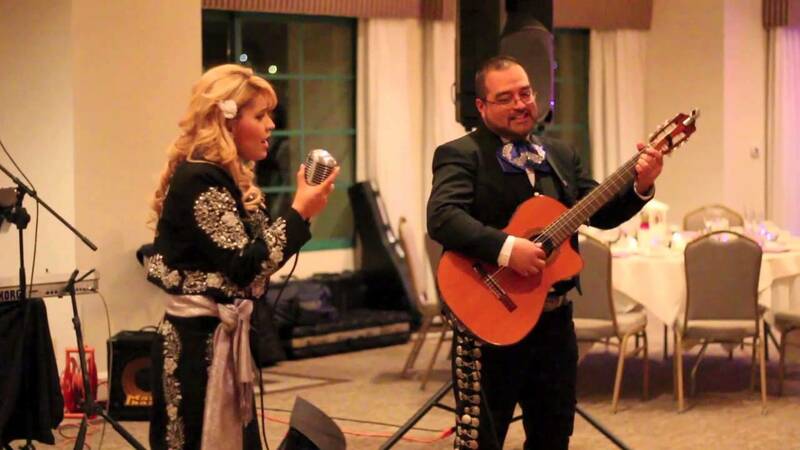 Mariachi Romanza was such a beautiful addition to my cousin's wedding reception! They are professional, very talented and absolutely entertaining! I'm very glad I chose them for this very special occasion :) keep it up guys!! WE LOVED EL MARIACHI ROMANZA. ALL MY GUEST HAD A GREAT TIME. LOVED THE SONGS THEY PLAYED. Everyone loved them. The woman sang beautifully. In fact, my neighbor was asleep and swore she had died and the angels were singing to her. She immediately got up and came to the party. They were great. Arrived extra early to set up and once they got started they had our guest dancing, laughing and having a great time. What a great source of energy. Mariachi Romanza were amazing. We had such a wonderful time celebrating a co-worker's birthday and having live music made it so special. I booked a trio for my dad's 80th on very short notice and everyone was truly impressed with them. They had a variety of options for my request and were easy to work with, They sounded and looked amazing! Thank you. We booked 5 performers, 3 showed up on time the others straggled to our wedding reception. We went ahead and had them start their performance with the trio since we were going to run out of daylight and it was time to start but they all performed great. They were fantastic! It was a surprise for my dads 80th birthday and they brought tears to his eyes. Thank you so much. They were amazing. Hired them for my moms 50th bday and she loved it. Great price. They play what you ask them for. And they are very nice guys. I would hire them for another event. Exceeded my expectations they were wonderful, professional, and courteous! They listened to artist we liked and ran with it, my guests were so happy and my mothers birthday was a success ! Thank you so much!!! Don't even THINK of hiring a Mariachi other than them! We hired Mariachi Romanza for a memorial service. As most know during this time it is hectic and stressful as well as emotional. They made sure my Mariachi was one less item I had to worry about. The communication could not have been better! As for the day of they were not only on time but early, even texting to let me know they were at the grave site so I did not have to worry. They were VERY professional! The music and voices could not have been better! Our day was made a little less stressful because of them. If you are in need of a Mariachi please do yourself a favor, don't stress and waste your time comparing prices and groups. They are very competitive with cost and I do not think the vocals and music can be beat. 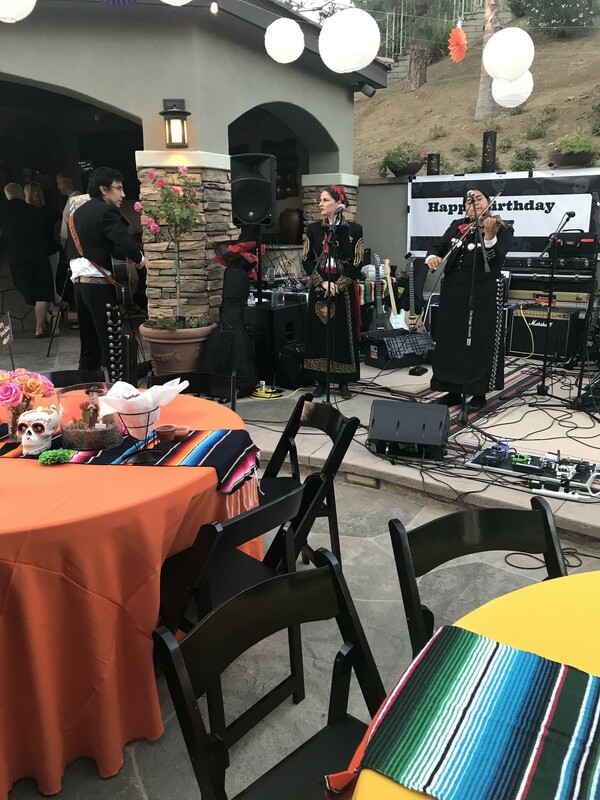 I ordered the Mariachi Duo for a small intimate backyard 30th birthday party. I was BLOWN AWAY by the voice of "Jacky." We were impressed how great the music sounded with just 2 people playing. Besides how great they sounded, they were very professional and arrived exactly on time. The whole family kept asking me where I found them. I would 200% recommend them to anyone who is thinking about ordering them. The three members of Mariachi Romanza showed up with enough time to set up, were very cordial and professional. They were impeccably dressed and all three had very beautiful voices, specially the lady. We booked them with the understanding that we wanted Trio Music, and it was disappointing that they had very little knowledge of this type of songs. My guest and I still had a great time, but this was because we became flexible with the music. Also the violinist should have tuned the violin prior to the event, it was very obious there were issues with it. Over all I think if people are looking for a mariachi group, that know Mexican music, they would be great. They are not well versed on Trio Music to be able to pull it off. My guest had a great time, the personalities of each member made the experience fun, and the music their voices were amazing. The Duet (female singer and male guitarist) was perfect for our Cinco de Mayo Cocktail Reception. I will hire them again for sure! We were blessed by Mariachi Romanza in several ways. They were right on time, gifted & since this was a National Day of Prayer Breakfast ended with the powerful hymn "How Great Thou Art." So appreciated this very personal touch. The group was amazing! Super reliable, showed up on time, were prepared and dressed perfectly. They were great sports about the unsteady timeline and I greatly appreciated their flexibility. Performance was amazing and everyone was thrilled! THANKS! They are awesome my wife really enjoyed her birthday and family loved the music I will recommend Mariachi Romanza to all my friends and family thank you guys again!! Mariachi Romanza. I was asked by our neighboring offices for your card. Thank you once again for a job well done! I got the trio mariachi. They where very professional and lovely to hear. I had like around 60 guest , everyone enjoyed the Music. I will for sure book again. Thank you, Malachi Romana, for such a beautiful performance at my mom's memorial service. You were very respectful and professional. We got many compliments for hiring you and requests for your name. Thank you so very much! Thank you very much Ricki, it was our honor, and we'll be there whenever you need us. Mariachi Romanza de Rodrigo RodrÍguez. We hired Mariachi Romanza to perform for an audience at my mother's nursing home in Norwalk. The musicianship was excellent and the audience was thoroughly entertained. They arrived early and stayed for pictures. We'd hire them again in a heartbeat. Tremendous value. Mariachi Romanza excelled in several ways: flexible in their start time, they played with a very high degree of talent, they knew every song and every request. I highly recommend them and was very happy with the experience of hiring them. THEY WERE AWESOME TO LISTEN TOO. Was great thank you, my family and friends had a great time. Disappointed big time Did not sound like Mariachi at all. When female sang it was so off beat and you could not hear them. Music was depressing. Asked them to leave early. I’m deeply sorry to hear that you had not enjoyed our participation. This is highly uncharacteristic of our staff, as we pride ourselves on our way of pleasing customers. We started with very well know romantic melodies such as besame mucho, and moved to happier melodies once we received your request. We did Guadalajara as requested, Serenata Huasteca, etc. Nonetheless, we truly appreciate your input, and I will personally make sure to discuss with out team members so we can fix this type of situations. They were fantastic and I would recommend them anytime. Definitely hiring Mariachi Romanza again for future party's. Couldn't be happier with there performance. Highly recommended! We hired the group to play two back-to-back events. They were wonderful! Excellent musicianship and warm, friendly people. Hope to have them again soon! Mariachi Romanza made our event special. Thanks Rodrigo! Our event was amazing and mainly because of the music. All the songs were familiar and the duet of the two was perfect. Very professional. Everyone enjoyed it. Mariachi Romanza was such a lovely addition to our holiday party. We highly recommend! The trio was perfect! The musical style & song selection was exactly what we asked for. Very professional & punctual. I will keep Rodrigo & his musical groups in mind for future events. Thank you for a great performance! Great performance as a duo. On time and everything went smooth. I highly recommend them! 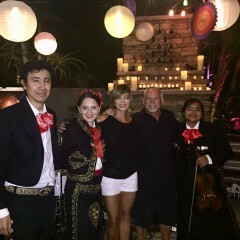 We booked Mariachi Romanza for my sisters 25th Wedding Anniversary, our family and friends really enjoyed them. I would book again for future parties. Thank you very much for having us Joe. We had a blast, and everyone at Mariachi Romanza was treated really nice!! Wonderful! Beautiful musc that was perfect for our event. We were very pleased with Mariachi Romanza. They were professional and sang and played beautifully. They helped make our party something special. I was amazed at the fluidity and ease of setting this all up. Rodrigo was professional and pretty much on it with the correspondence. You are very kind Nicole. Thank you for having us, it was so much fun!!! Hi I just wanted to say thank you so much for making my aunt's birthday so memorable. You were both very professional and the singing was unbelievable. Once again thank you. Thank you Sandra for invitings us. It was a great evening, and all your family is so much fun! From the start Rodrigo was very attentive to my needs and got back to me very promptly with any questions I had. The whole process was very simple to book! Rodrigo and Maria did an impressive job on our employee Cinco de Mayo Luncheon. Everyone loved their enthusiasm and performance. I would definitely book them again! Finding Rodrigo must have been a Godsend. He was extremely easy to work with and completely understood that e-mail communication worked best for me considering I'm on a computer or on my cell phone all day. He always replied right away and answered any questions I had. He definitely made the music aspect of wedding planning stress-free! The performance at our church ceremony was simply amazing! Very professional and responsive! Our negotiations went smoothly and fast. They showed up early and gave a wonderful performance. Everyone that came to my party are still talking about how great the male and female vocalist were! Very fun group will definitely recommend and hire again! Their music was lovely. Everyone enjoyed the music and had very good comments about the group. They worked with me throughout the whole reception and made accomodations.Their prices are also fair. Rodrigo was very professional and always answered my emails asap. Excellent mariachi duo, They sing a variety of songs in English and Spanish. Performers arrived on time wearing traditional mariachi outfts, they bring their own speakers and background music to play during their brakes. I will definitely hire them again for another party or family gathering. Bravo! Great vocals great music and great energy..Thank you! Awesome and so easy to work with! This is the second year in a row that we had the pleasure of the Mariachi Duo perform for us. Easy to book, talk with and work with. The group played at my daughter's engagement party and was prompt, well-attired and professional. The song selection was superb and all present enjoyed the entertainment very much. I highly recommend them. Jacqueline had the voice of an angel and hit every note while Rodrigo showed all the professionalism and dedication of a classically trained musician. Many members of my family that attended are either musicians or vocalist and needless to say we were all in awe of this duos ability. Most def will be using them again and recommending them any chance I get. Thank you very much for having us, and for your kind words. Your mom is a beautiful person. We had a great time there. Great-Well worth the money. She sings like an Angel. I couldn't be more happy. I hired the duo for a birthday serenade for my wife and it went off without a hitch. My wife loved the song selections and the singer was gorgeous and sang so beautifully. Instrucmentals were also great. Highly recommend! Thank you very much Philip. We had a great time there and you have a very beautiful family. Until next time! I am fortunate to have found Mariachi Romanza through an extensive internet search for entertainment. I am so happy with the music they provide and they are extremely professional. We have already used them twice this year and I can't wait for the next time we can host a family fiesta and include them. Our guests of all ages enjoyed the music. I highly recommend this trio to anyone wanting to add a special touch to their celebration. Thanks a lot Yvonne. We are very thankful to you and your family. See you soon! Rodrigo Rodriguez and his Mariachi Romanza were the perfect addition to promote a new food concept here on campus. They were very professional and incredible musicians. I highly recommend their services. Rodrigo was great thru the whole process from the first day we talked to the day of the party. My family loved the group! They where on time and where amazing performers. 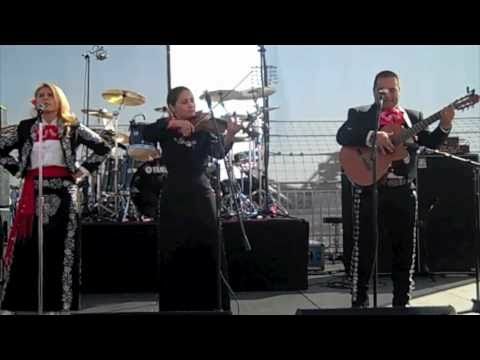 If you are looking for a great trio, consider Mariachi Duo first. The young lady has a amazing voice! Thank you Mariachi Duo! Thank you Hugo. You have a beautiful family! Rodrigo and Jacqueline were AMAZING. The ambiance they added to the party was fantastic. I would recommend them with gusto. If i have another party they will be the first group I call. Everyone at my party loved them and went on and on about the fantastic entertainment. Professional, Showed up and time and were prepared with songs people requested. Thank you very much Julie. Until next time! The group was perfect, I was given specific guide lines to follow when booking the event and this group was able to completly satisfy all our expectations. Thank you very much for having us Fabian. It was really nice and fun! Perfect! Nothing short of the most perfect performance. Mariachi Duo was one of the best things that occured at our marriage celebration. My wife and I got married thru church. They played at our church ceremony and knew ecxactly what to play. We din't have to worry about the church not allowing the wrong songs played. Jacqueline has a very beautiful voice. When she sang the Ave Maria at the church a lot of people got the chills. She is always smiling at everyone and Rodrigo plays the guitar so great. They are true professionals and can't wait to have another event to have them back out. They are true warranty to a great celebration. recommend. If you want your event to be special you need them! Thank you very much for your kind words Patricia. We truly had a blast at your sister's grad party. Until next time! We had them on First Friday for a second anniversary party at my store. Everyone loved the music. They were quite professional arriving on time and played a great selection of music. I would give them a great evalutaion. Since I did not pay for them I don't know the pricing. This group is AMAZING!!!! I booked them for my mother's 65th birthday celebration and the whole crowd loved them! Truly exceptional and superior service from beginning to end. Rodrigo was extremely helpful and polite, from obtaining details for cost--(which by the way, was sooo reasonable, given the fact that their performance is of high caliber! ), to figuring what type of performance would be most fitting for the event. And Jacqueline Valderrama--- My goodness!!! What a supreme, beautiful, and most heartfelt voice!!! Although I requested mostly bolero/mariachi type of music, I'm pleased to know that they play all kinds of musical styles from latin band, Cuban, Andean, upbeat, even church music for weddings, etc.. pretty much anything you need, i'm sure they can try to work with it. They are definitely the Go-to band for ALL of your musical needs. I will tell everyone about them and will book them again if I have another event to coordinate. Anyone looking for a fabulous musical group?? I know EXACTLY who to recommend and you won't regret it! EL MEJOR GRUPO PARA TODAS OCASIONES!! NO SE ARREPENTIRA!!!! Im always skeptical of the unknown, but by watching their promo videos I knew it was a chance a had to take, I was pleasantly surprised that they were even better in person. Very professional, on time, and great value for the money, that girl can sing!!!!! Looking forward to hire you guys for future events, thank you for putting a smile on my parents and the whole family, Javier B.
P.S. the pozole was right on the spot... ! Review by Irene C. L.
We had the pleasure of hireing them for my moms 75th birthday party. I would Highly recommend them to friends and family, very professional and very intertaining, my mother was very surprised and pleased, we hired them for 2 hours and an extra hour because of there professionalism, and because we wanted them to play longer. Mariachi Duo is a fabulous band! I hired them to play for a dinner party and they were perfect! 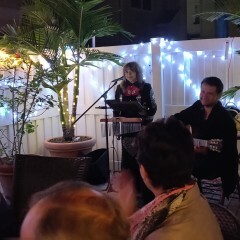 Excellent voices, great music, the perfect compliment to dinner and drinks outside. I highly recommend them. Total professionals. I just wanted to say thank you again for making my parents 50th wedding anniversary so special. The Trio group was dressed so beautiful and they were all very professional and pleasant with all our guests. Jacqueline is so beautiful as well as her voice and my mother really enjoyed singing along with her to some of her most favorite love songs. I will definitely hire them again for any special event that may come along and refer them out to all my family and friends. On behalf of my brothers and I, we thank you so very much for giving us all your gift of song and beautiful melodies and making this day so memorable. It would of never been the same without you all playing so beautifully!!! Sincerely, Christina G.
The Duo did an amazing job ! they were very professional, very talented people. The female singer has an incredible voice and they were both great at interacting with the crowd ! Definetly going to be working with them again in the near future for all of our event needs ! I was hesitant to hire them, (or any) because I had not heard them or had a chance to check their references. The price seemed too good to be true. But to all of our surprise, they were one of the best performances we had the pleasure of experiencing. They were friendly, punctual, talented and honest. Took their two 15 minute breaks, allowed us to use their microphone and sang some requested songs. From our party, we had many interested in hiring them in the near future. Jacqueline has a gift of her voice. My mom loved her and hugged her and gave her blessings. Mr. Rodriguez was very professional and he was very helpful with the party preparations. I had a request of a very old song and while they did not know the song, they learned it and performed the song for my mom during the party. their music was great and everyone loved it. their music selection was amazing. i will use them again for my next event. They had everyone singing and dancing. it was a blast. Insurance: $2,000,000.00 - We can get insurance for your event. Depending on your needs, it would be the cost. Currently is around $150 or $200. Variety ! Not only with our repertoire, but in instruments performed as well. 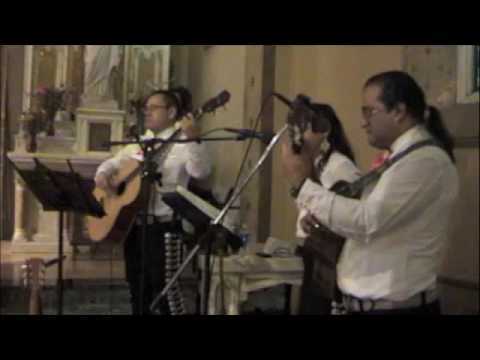 Some of the instruments that we could add for your event are guitar, accordion, harmonica, vihuela, violin, viola, Andean pan-flutes, charango, cuatro, bajo quinto, more, and obviously our voices. (We are a soprano and tenors classical trained). The second thing you can expect from us, is Reliability !!! We deliver what we offer you, and only an act of God will modify what we arrange with you. Let us know in what mood you are, and we will make you sing with us, dance with us, or just enjoy the most beautiful melodies. We cover Mexican music, Cuban, Latin-American, jazz standards, bossa, even classical. If we don't know already your favorite tune, we always love to learn new melodies. Let us know your favorite piece and we will have it ready for your event. We really are looking forward to enjoy an event with you! We can provide our own sound system if is required. Even if there is no electricity in the place where you would like to have your event, we own portable self powered equipment. Let us know your necessities, and we are sure we can help you to find solutions. I dare to say our experience is vast. October 11, 2015 • 7:00pm - 8:00pm Rolling Hills, CA at Corazón Mexican Kitchen. Open to the public. October 10, 2015 • 7:00pm - 8:00pm Mission Viejo, CA. Private party. October 04, 2015 • 7:00pm - 8:00pm Santa Ana, CA. La Hacienda. October 03, 2015 • 7:00pm - 8:00pm Long Beach, CA. Retirement party. September 19, 2015 • 7:00pm - 8:00pm Pacific Palisades, Bel Air club. September 06, 2015 • 7:00pm - 8:00pm Covina, CA. 60th anniversary. September 06, 2015 • 7:00pm - 8:00pm Buena Park, CA. Private residence. Y tú que has hecho? We truly believe one of the things that lots of people in our modern day society are missing is happiness. That is why we aim to bring you as much joy as we can. We'll strive to make you feel our sincerity in our devotion, which is Music. Even if for your event you need background music, we know we can help with our soothing sounds. Even though is a business for us, it is not all about money. We only require a small dry place where to set up. Preferably close to a power outlet. I want to thank you for a great day you gave my sister for her 80th birthday. Everyone kept saying how good you all were and your female singer was excellent. I hope you get more playing invitations as I gave out many of your cards. I will keep you in my book in case I need you again in the future. Again thank you and may God bless you.